After a four year battle with cancer, Betty went to be with the Lord on February 24th, surrounded by her loved ones. She is a life-long resident of Madison County, a graduate of Lee High School and a retiree from Redstone Arsenal Missile Maintenance Dept. Regarding the need for immediate CABG (Coronary Artery Bypass Graft), I never had any symptoms, such as chest pain, shortness of breath,nor palpitations (a fluttering feeling in chest), despite working out to get in shape for annual February skiing trip with 15 other guys; this was our 27th year of what we call The Old Guys Ski Trip (OGST). My risk factors for heart disease, which is the #1 cause of death in the USA, include high cholesterol, high blood pressure, stressful life style and a family history (my Dad made it to age 82 when he was found dead on the bathroom floor; presumed heart attack, but could have been a pulmonary embolus or cerebral hemorrhage). Risk factors for heart Dz I did NOT have were diabetes and cigarette smoking, though I inhaled a boatload of passive smoke via both parents, and on the 45-minute bus ride each way to and from Lee High School, where the Cool Kids sat in the back of the bus, puffing away. Every year before going skiing in Feb, I have a stress test in Jan; have known for almost 20 years, since my first heart scan in Jan. 2000 at age 51, that I have diffuse coronary artery Dz. Usually I have a standard treadmill stress test, which is about 85% accurate/sensitive. Every 3-4 years my cardiologist does a nuclear stress test, in which an isotope (thallium) is injected IV and the heart is scanned at baseline, prior to exercise. Then I get on the treadmill, which I passed, with no chest pain and no EKG changes. Near the end of exercise thallium is again injected, and the heart is re-scanned, looking for changes in arterial blood flow to the heart. My post-exercise scan showed decreased blood flow to the lower part of heart; had I just had a standard test, I would have passed and may have had a heart attack the next week, skiing at 12,000 feet elevation at Big Sky, Montana.The physician friends that I go skiing with include a plastic surgeon, orthopedist, hematologist/oncologist. allergist and (God help me) a gynecologist, none of whom would have a clue what to do for a heart attack on the ski slopes. Fortunately, we also have a couple of attorneys in the group. Next step is a cardiac cath, where dye is injected via an artery into the heart, measurements of pressure in each chamber are taken, and dye is injected into each artery to demonstrate any areas of blockage. I had a 95% blockage of the Left Anterior Descending Artery (LAD., the one we call "The Widowmaker"), 95% in the right coronary artery, and 75% in the left main artery. Amazing that I never had chest pain during pre-ski workouts on treadmill and lifting weights; really dodged a HUGE bullet. So they would not let me go home from cath lab, admitted me directly from cath lab to Cardiology floor; I was first case the next AM for open-heart surgery, where six (6) coronary artery bypass grafts were done. We have all heard that during combat in the infantry, "There are no Atheists in foxholes;" well, there are none lying on stretchers in the pre-op area, either. Had some post-op complications including a collapsed left lung requiring a chest tube larger than a man's thumb in the left lung (to add to the three chest tubes (standard) of similar size I already had in the right lung. Severe constipation developed due to immobility, pain meds every 4 hours around the clock, and iron supplements twice a day, in spite of taking daily Colace and MiraLax; finally achieved relief after a large Dulcolax suppository, which felt somewhat like (I think) delivering a 10-lb baby w/out an epidural must feel like for a woman. The next day (post-op day #2) I popped into atrial fibrillation with a heart rate of 140-something, though I never had palpitations, chest pain, nor shortness of breath. The change from regular rhythm to atrial fib was picked up by cardiac monitor leads attached to my chest, which set off an alarm on the receiving end of monitor at the nursing station. Was placed immediately on IV drips of heparin, a blood thinner to help prevent a stroke from blood clots forming in the heart during atrial fib, and Amiodarone, a med to try to stabilize atrial fib and put my heart back into a regular rate (did not succeed). Also began coumadin/warfarin pills once a day, along with a baby (81 mg) aspirin, to keep blood from clotting and preventing a stroke. The next day, having not converted to a regular rhythm, I had a cardioversion, which is an electric shock applied by cardiologist while sedated by Anesthesia with propofol, the same stuff used during a colonoscopy; also the same sedation that killed Michael Jackson, b/c he was not monitored closely. Propofol is only given when under close monitoring by Anesthesia, or in the ICU where monitors pick up any decrease in breathing rate, blood pressure or blood oxygen level due to over-sedation/toxic levels of propofol. Fortunately, one zap and heart rate converted to regular rhythm and has remained so. IV drips of Heparin and Amiodarone were continued until I was discharged on post-op day #4, on coumadin/aspirin and Amiodarone in pill form; also I had to inject myself every 12 hours with Lovenox, a fast-acting blood thinner, again to prevent a stroke from atrial fib, until the coumadin/aspirin had time to thin blood adequately, at which point Lovenox injections could be stopped. So I am recovering at home on meds, breathing exercises and afternoon naps. Fortunately have not required any pain meds during day (not even Tylenol) since post-op day #6; do need a pain med at bedtime, b/c if I roll over in bed while asleep, sharp chest pain at sternal (breastbone) incision wakes me up. Saw my heart surgeon for 2-week post-op check, and was I told I am healing "ahead of the curve"; but I kind of suspect he tells that to all his post-op patients. Average time out of work after open-heart surgery is 4-6 weeks; next step is check by cardiologist, who will tell me when I can return to work part-time and then later full-time. It will probably be 3 months before I am totally healed regarding physical strength, stamina, return to normal weight, etc. No caffeine nor alcohol, either of which could trigger atrial fib. Strangely, though I have never had a sweet tooth, have been craving banana popsicles, consuming 2-3/day, along with lots of Power-Ade. If one has to become addicted to a substance, there are a lot worse things than banana popsicles. All things considered, I am doing quite well, and feel fortunate that in the absence of symptoms, the cardiologist wisely chose this year to do the nuclear stress test (which costs about ten times what the standard stress test costs, about $4,000 to$5,000). I have always known that a CABG was in my future, as the heart scan showed diffuse disease in all 4 coronary arteries, such that a simple angioplasty procedure with stent (a little pipe placed in blocked portion of artery in order to maintain normal blood flow) would not suffice for repair. So I look forward to returning to work, where the person in the room with a medical problem is not me; also, I will optimistically continue to buy radial tires. Just a note to report on a fantastic visit I had with Mike Jett on February 22, our first in about 15 years. Mike kept in closer touch with Jim Norman that anyone I know, and he told me that Jim had died 8 or 10 years ago, in Ocala. Mike also loaned me a copy of a book he had compiled for his mother’s 80th birthday 13 years ago. His mother, the youngest of eight, had written “round-robin” letters to be circulated among her siblings, and Mike had compiled these into an extremely readable memoir, attractively bound, with photos, as a paperback book. I was so taken with the first sentence that I asked to borrow the book: "It seems to me that I spent an awful lot of my life washing, ironing, cooking, cleaning, shopping, sewing, guarding men's egos, and wiping babies' bottoms, so I got to wondering why I wasn't dissatisfied with my life." The book is quite a compendium of humor. My favorite line was Mike's great uncle Clem having described a duck as being "so tough we couldn't eat the gravy." There was also a great story of his cousin Keith being given some cookies when he went over to visit a girlfriend. They weren’t very good, so he slipped them to the dog when she was out of the room; then, when he went to leave, there was a pile by the front door, of the cookies the dog had thrown up. Mike’s Aunt Mary was described as having thought she had the world by the tail, but it turned out she only had the tail. Mike’s mother described herself as having drunk so much coffee one morning that, when she got the hiccups, she felt like a percolator. The book isn’t available for purchase, and Mike himself has only one copy; but maybe we can generate enough demand for publication. Memphis, TN - I regret I had to use the earlier picture of Betty Jo above, but I could not find her picture in either the 1965 or 1966 Silver Sabre, so I had to use the one from 1964. I have not given up on my dance videos, but this week there were several other contributions which were more important and timely than filling the issue with them. If you read John Drummond's story above it should be a wake-up call for many of you. Though not as extensive as John's stress test, as a result of my 20 years of having to pass flight physicals in the Air Force I got into the habit of getting a yearly physical checkup and I still do so today. John has volunteered to do a weekly (if necessary) question and answer piece on any health issues you may have. You can send them to me and if you wish them to remain anonymous, just state so and I will remove your name from the question. 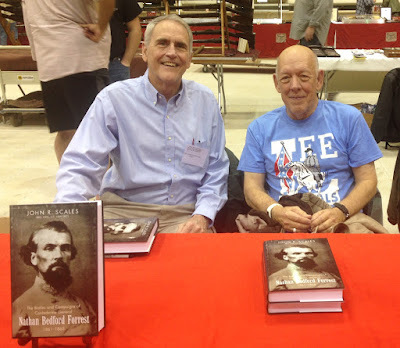 I had the opportunity this weekend to go sit and visit a while with John Scales when he was here at the Memphis Mid-South History and Civil War Show signing copies of his new book The Battles and Campaigns of Confederate General Nathan Bedford Forrest 1861-1865. For those that don't know, John, who graduated from Lee in 1966, is a retired Special Forces brigadier general with more than three decades of service, including combat tours in Vietnam and Afghanistan. He also has a PH.D. in engineering and worked in that field after retiring from the military. In addition to receiving five patents for inventions, John has written two previous books: Sherman Invades Georgia and A Reluctant Hero's Footsteps. John is a past president of the Tennessee Valley Civil War Roundtable and he leads Civil War campaign tours in Alabama, Tennessee, and Georgia. John explained to me that his latest book on Forrest is not a biography, but is instead an in depth insight into the actual battles he fought and included in the book are the maps and driving directions on how to get to the places he covered. We had a nice visit and talked about our own military pasts and I really enjoyed spending the morning with him. For those interested I will try to get John to relay where his books are available for purchase. 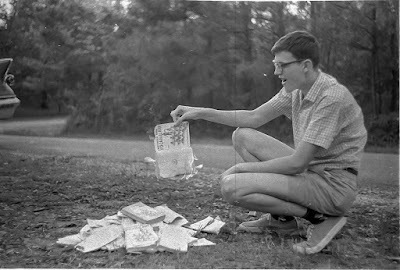 In an odd world, just this week I received the photograph below from Max Kull of John burning a book at Lee. Must have been one of the earlier ones he wrote and was not pleased with. As a writer myself, I know the feeling sometimes. Joey, daughter of Carolyn McCutcheon, LHS '64, called me today to catch up. She said that Joyce McCutcheon Cox (LHS '67) passed away in June 2017. I asked about telling you and she yes to tell you and you could put it in the Traveller. Joyce lived in Florida. She had surgery for cancer and that went well,but she passed from complications later. She said she was not sure that I knew and she had not talked to me. Hi Tommy hope all is well with you all. I wanted to let you know I am enjoying the reminders of the different dances. You know that dancing, except the slower dances,was not something I was blessed with but I loved the music and still do. I remember Ginger was doing the Pony one night came down on her ankle wrong and sprang her it. She was on crutches for a while after that dance. 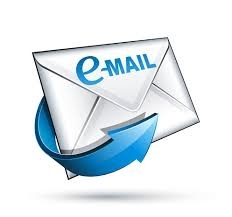 Please consider a weekly segment called something like: "Ask Dr. John" where readers would send you a medical question, you would select a few each week for publication, and I would answer. Sort of like a "Dear Abby" format. Medical info might just save, or at least prolong, the lives of a more than a few classmates, whose access to medical preventive measures are limited. We can kick this idea around before deciding on a format. At the very least, I am pretty sure it would add some content to weekly editions and make your job of filling space easier.